Home / Others / Vikings Season 5, Episode 11: The Review "The Revelation"
Vikings Season 5, Episode 11: The Review "The Revelation"
"The Revelation", with Rollo's return from Clive Standen in the role of Lagertha's delighted opponent, is again a good start to the second half of Season 5, although most of these operations serve as Dry pieces, allowing the characters to get the stories to come. The arch of Rollo and his moments with Lagertha and Bjorn constitute the heart of this chapter, while the rest presents scenes of acceptable sequelae, showing the consequences of Ivar's victory over Kattegat. The cliffhangers, like Floki aspiring to sacrifice themselves in Iceland, receive a quick answer (Helgi voting against a deciding vote), while King Alfred (whose prince Aethelred is his attack dog) briefly ruffles the feathers of his court. suggesting that education be made available to all – while the kingdom is constantly attacked by Scandinavians on all sides. As satisfying as some elements of "The Revelation" are, it also contains many very busy excerpts. The Vikings, as a series, do not have many weaknesses, but one of them is the insignificant balance between scenes of extended characters and moments of rapid information. But let's talk about Rollo and how he came back in the life of his remaining family. Rollo, from the beginning of the series, was driven by jealousy and pride. He has always coveted what Ragnar had. He loved Lagertha for decades and his worship for her took strange and sometimes sinister forms. 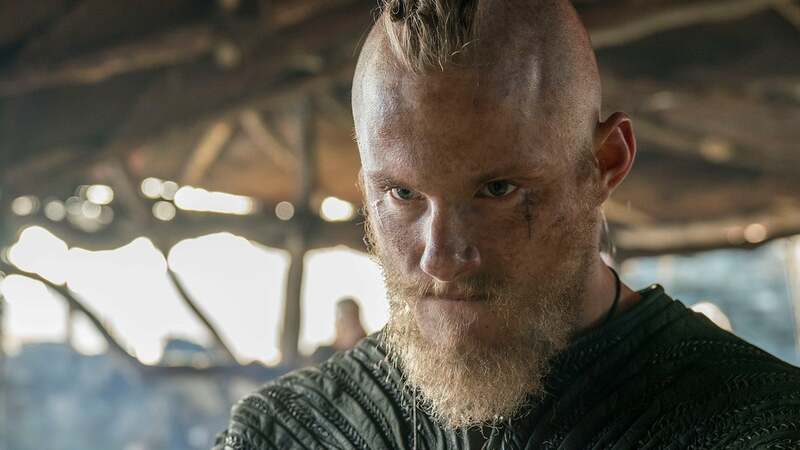 He had once spared Ragnar's life because of what she felt for her (and knew what she felt for Ragnar), but he also literally went to war against his interests. To defeat his brother and – perhaps – the "win". To show him how powerful he is. Or, at the very least, put it in a position where it would somehow need him. He could have helped Lagertha and help him defeat Ivar's forces, is not it? This seems to be the closest distance between two points. But Rollo always strikes Lagertha in an epic way. Rumors that Bjorn might be Ragnar's son have been flowing under this series for years, like the bottom of a river. Here, the problem is finally solved. The return of Rollo gives this story, which now covers generations, a wonderful link with the first season. This links so much and gently reminds us that this series has an active and flourishing memory. Before Lagertha and Bjorn, with Heahmund as sponsor, begin a new chapter in England, the past must be addressed. And Rollo is the shadow that always hangs over them. Bjorn's reaction to the hearing of Rollo's parental complaint is perfect. It's the most sensible way to touch on this and move on. There is no way to know for sure if Rollo is his real father, so why is it important? The truth is up to Bjorn to decide. And he chooses the common narrative. The one who gave impetus to all his life. It is the son of Ragnar. How perfect is Rollo like "the guy who has everything, but nothing?" He enters Kattegat, the savior, and thinks sadly how much he is now too important to risk being wounded in battle. Meanwhile, Ivar and Harald become impatient with all the ruins they caused and the opportunities they squandered. They won, but they both feel hollow. Harald lost his fiancée, his baby and his brother. Ivar missed his chance to kill Lagertha. And then, at their lowest, they are facing Rollo, which is essentially their future. So much wealth, so much discontent. The real defeat that lies in the conquest. This destiny of Rollo is it ultimate? His curse? Have everything except the real things that he wants? He implores Lagertha and Bjorn to escape with him and live under his protection, but deep down inside him he had to know that she would refuse. That's part of what he likes at home, is not it? And apparently, he knows only one way (very inefficient) of winning his affection. The only thing he can do is help him escape the wrath of Ivar. it's always the best that he can hope for. Him having the supreme power and she still alive, somewhere out there, hating him for the most part. "The Revelation" was better than your average consecutive episode, thanks to Rollo's return and emotional addressing of the Lothbrok family's problems dating back to (before) season 1. As a man who acquired wealth and power, but still feels disconnected and adrift.